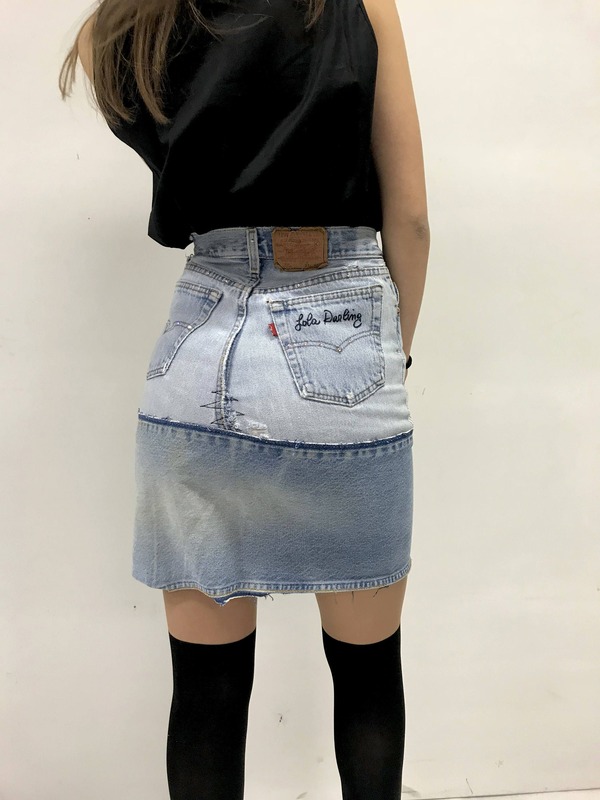 Skirt made from Vintage Levi's Jeans. 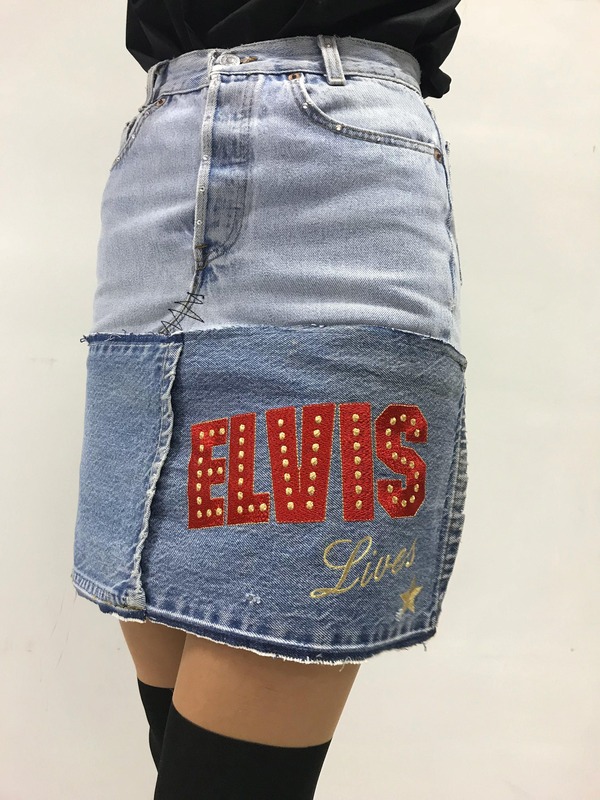 Vintage clothes are carefully chosen from the archive that features more than 4,000 items of clothing selected and collected over the years. 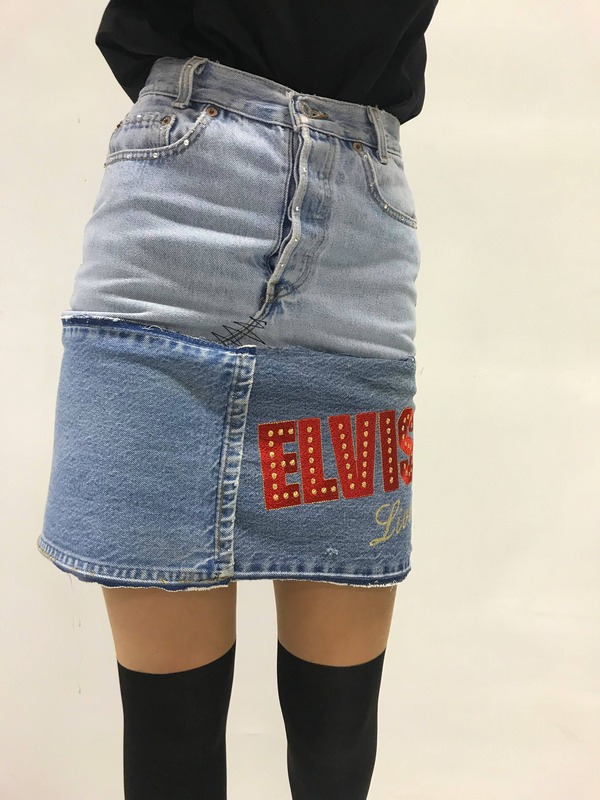 Jeans, dresses, skirts, shirts, etc are processed one by one to create contemporary objects of absolute quality tailoring, materials and style. Unique items that come from the past and made timeless.